​Airmax Shallow Water Series™ Aeration Systems provide multiple plates to provide evenly distributed aeration in shallow water applications without forcing customers into large cost-prohibitive aeration units. Designed specifically for use in shallow water, our Shallow Water Series™ Aeration Systems aerate ponds up to 1/2 surface acre at 6’ deep. ​Aeration is all about gasses. 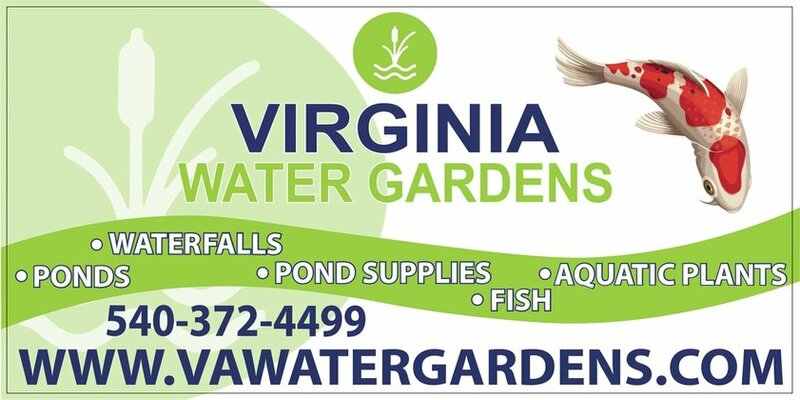 Aeration mixes the pond so that toxic gasses are efficiently released and life-giving oxygen readily replaces it. An aerated pond will be clearer, cleaner, healthier, and have less bottom muck than a pond without aeration. 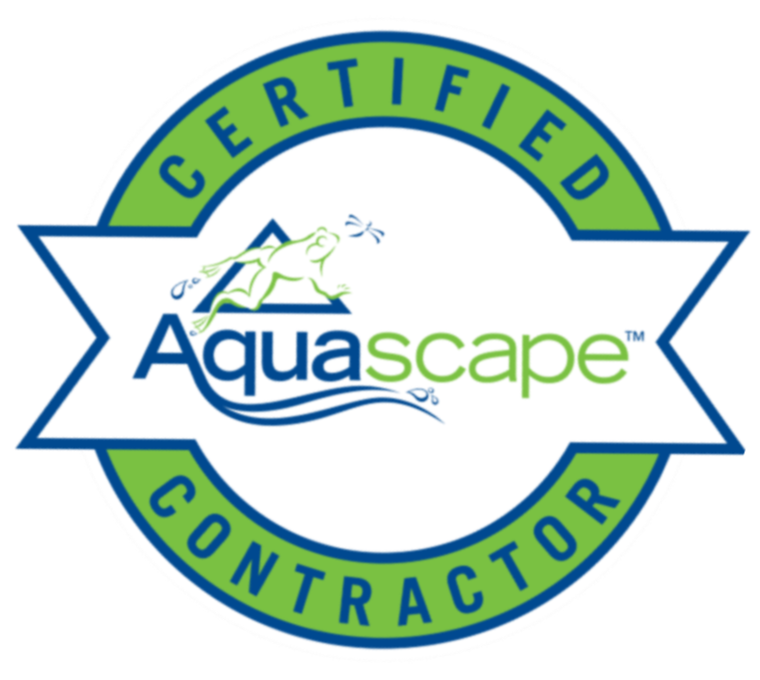 ​A pond without aeration will become stratified into two very separate layers in the summer heat. This is because of the physical properties of water. As the sun warms the surface water, it becomes less dense and thereby lighter than the cool water below it. The line at which these two layers separate (similar to oil floating on water) is called the thermocline. 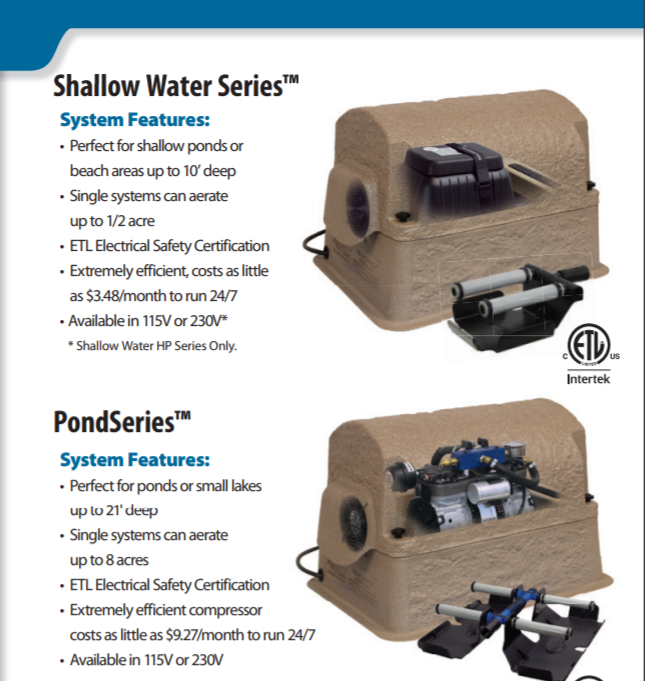 ​The heart and soul of each Shallow Water Series™ Aeration System, our powerful yet energy efficient SilentAir™ LR Series Linear Diaphragm Compressor push oxygen through your pond while remaining whisper-quiet and costing as little as $3.48 a month in electricity running 24/7. Each compressor has a 2-year warranty and is fitted with an integrated Manifold with Ball Valves to simplify airflow-management and is mounted on vibration reducing rubber feet to ensure quiet operation. Each airline is equipped with Quick Disconnects for easy system removal and storage. The ProAir™2 Weighted Diffuser has an integrated check valve to prevent back pressure on the compressor. The innovative sled design keeps the ProAir™2 submerged while maintaining an upright position during installation. Comes with a a 5-year warranty. ​The ProAir™2 Weighted Diffuser has an integrated check valve to prevent back pressure on the compressor. The innovative sled design keeps the ProAir™2 submerged while maintaining an upright position during installation. Comes with a a 5-year warranty. A thick wall and lead-free construction make EasySet™ airline the perfect pond-safe choice. Resistant to rips and tears, EasySet™ airline is resilient against fishing hooks and foot traffic from swimmers, pets and wildlife. The 3/8” & 5/8” Weighted Airline is designed to stay submerged underwater and out of sight and is guaranteed not to float. The 5/8” Direct Burial Airline comes with a 5-year warranty and is designed for underground use because of its resistance to crushing and deforming.